Warner Thompson is a senior at the University of Alabama, who wrote the following for REL 490. He is a History major and a Religious Studies minor with future plans of Law School at the University. He was born and raised in Homewood, Alabama, and he is the oldest of three children. 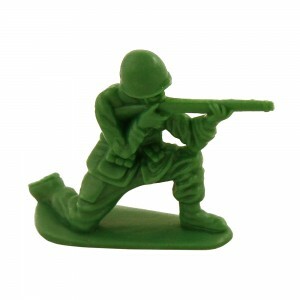 When I was young, playing with sets of toy soldiers was a favorite pastime of mine. I had entire tiny armies, from different time periods and different wars, and I would spend hours lining my floor with intricate battle formations. After recently seeing a video of myself meticulously setting up one of these scenes, I began to reflect on the elementary historical narratives that were manifesting themselves in the positioning of my soldiers. The good guys, bad guys, and end results were not always consistent with historical fact, but they represented my young mind’s idea of what should have happened, and which side deserved to win. The American patriots would always whip the British redcoats; the Texans would always old the Alamo against Santa Anna; the Sioux would always win the Battle of Little Big Horn; and the gray-clad Confederate rebels would always defeat the blue-clad Yankees. All of these seem to reflect a pretty good moral foundation for a young historian except for the last example.